FXPIG™ is different. Yeah, we know everyone says they are different, but seriously, we TRULY are DIFFERENT. Our core focus has, and always will be on our forex trading PARTNERS. We are NOT your average forex broker. Come see why. or FIX API. Not looking to trade? We also have the best available PAMM Accounts. FXPIG offers a professional service. Customers would use the services of FXPIG again. FXPig had me line, hook and sinker from the moment I started trading. 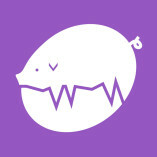 After trialing many other brokers, I am glad to say that FXPig are who I settled with. They are honest, reliable, have the technical knowledge to teach you how the markets work; they are outstanding with their responsiveness to questions and communicate brilliantly. Looking at trading? Don't look further than FXPig. Seriously! A trip into the future of Forex Exchange. Where no pig has gone before! Fast, reliable and fun. Just like a pig! For Almost 7 Years Now I Have Traded A Large Balance On FXPig's ECN & FOX Platforms. Truly Allows Me to Rate ALL Aspects of FXPig With FIVE (5) STARS!!! Prior to finding the 'Perfect Place' (FXPig) to invest a large portion of my life savings... it was a scary adventure. There were 100s of Forex Trading Platforms to choose from, but of those that I tried, it became a nightmare trying to deal with them! What All of The OTHERS Lacked... FXPig EXCELS In!!! A CEO & Founder, Kevin Murko, Who Is Accessible And Ready To Help ANY & ALL Customers... Compared To Other FX Companies That Have Big Customer Support Departments BETWEEN You & The Owners/Management. Providing Service & Support Above And Beyond What Is Expected. Has Many Trading Systems And Especially The TWO I LOVE... That Have Returned A Very HIGH ROI... YEAR After YEAR After YEAR!!! Have A PROVEN Record of ALWAYS Returning To PROFIT After The Not-So-Fun-Draw-downs... That Every Trading Platform Experiences... But Few Recover From... Like FXPig Does! From My Personal Experience I Feel FXPig Actually Deserves 10 STARS!!! After surveying the market for some serious and truthful brokers for many years I can say - The best broker we ever had, no issues at all, over the years! These guys are fast and efficient in responding to inquiries. I sometimes think they live at the office 24/7!! I'm client of FXPig since one year ago and you feel special with them. My acc is a very small one. The very good service provided and they answer to your queries sometimes in less than a minute. The acc page is so graphic and clear to understand . I definitively recommend them. With FXPIGs, I met not very long ago, and now can happily say: WELL, FINALLY!!! Because today is the best of all the brokers with whom I have ever worked with. The minimum number of problems. Convenient interface of the site. The great speed of transactions. Honest quotes. With FXPIGs I'm sure working in the real market and not on some virtual account. They have the best technical support I ever met. And, no matter who will today be out of contact : Kevin, Sylvain, or Bily. Each day or night will quickly solve Your problem and will answer even the most unusual question. They always communicate professionally and with humor. With the PIGs I gained confidence and a positive attitude. It seems for them nothing is impossible. Instant Deposit and withdrawal confirmation email. I can say without exaggeration FXPIGs CAN DO ANITHING!!! It remains to wish them not to change anything and improve what has been achieved. Fxpig think different. And consistently act different. Just have a look at their look and feel on their website : they are disruptive and break the brokers codes. But what is important is not only to be different but to be better. This is clearly my experience. Not only they offer very good products, but I am amazed by their service. At the heart of their values, it seems that the fxpig guys are caring and customer oriented. Whenever I had questions, I just dropped a line and someone answered in a very timely manner, helping me out in a very efficient way, supporting step by step if needed and providing me with the best pieces of advice. It's a unique experience I recommend 100%. top notch customer service... extremely fast response to the queries i throw at them! I I just wanted to take a second and review FXPIG help desk services. I had an issue receiving a wire from my Canadian bank - the bank took forever to respond to a simple email, and offered no solutions to resolve the matter. FX PIG stepped in with remarkable speed and the correct solution to remedy the wire. Professional, effective and quick- i couldn't be more impressed. Thank you again for the help guys!